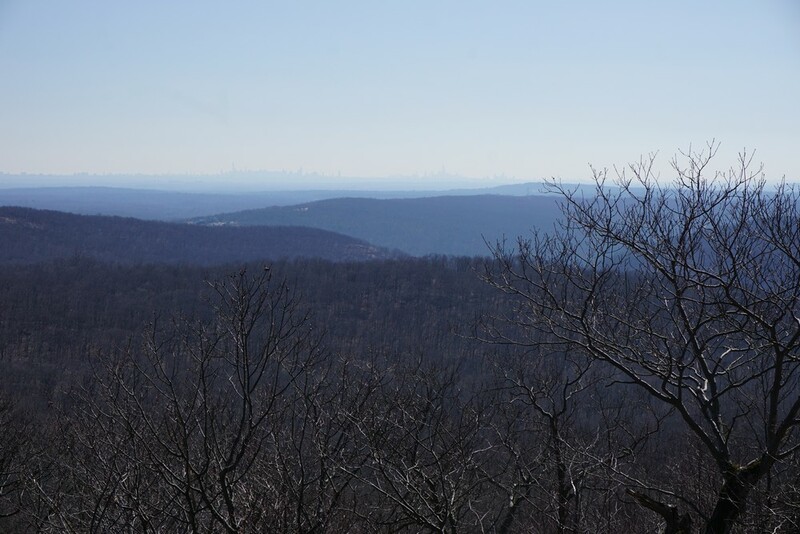 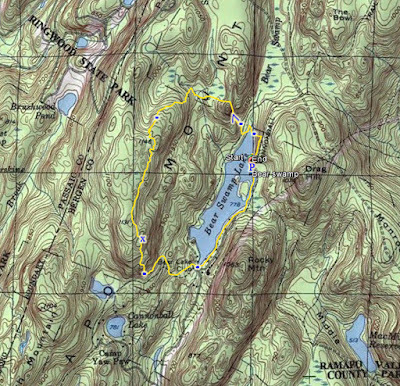 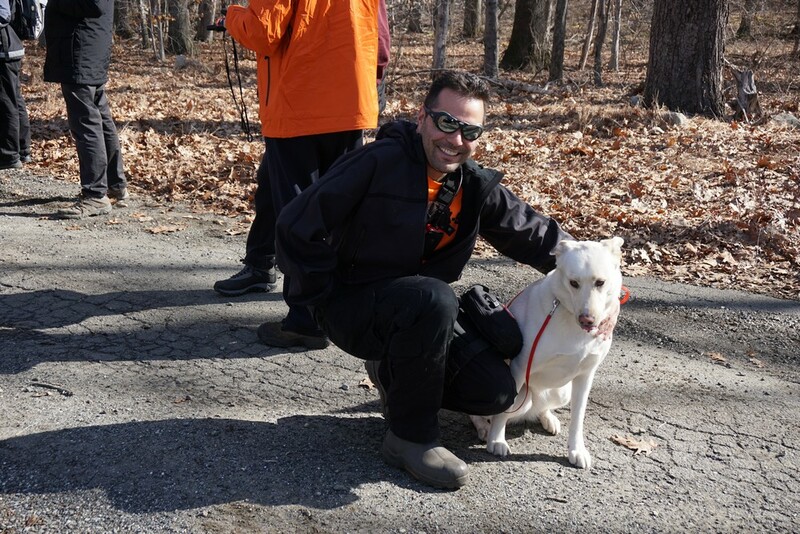 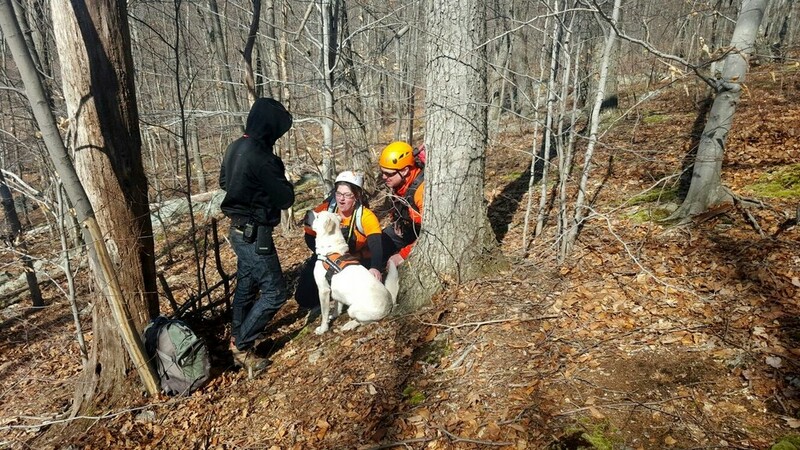 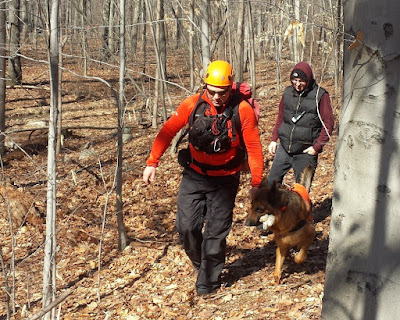 This hike was combined with a training from a Search & Rescue K9 Unit. Jay Schwartz of CommSAR had organized a training with the NJ SAR K9 unit, with 2 dogs in training for sniffing human scent. 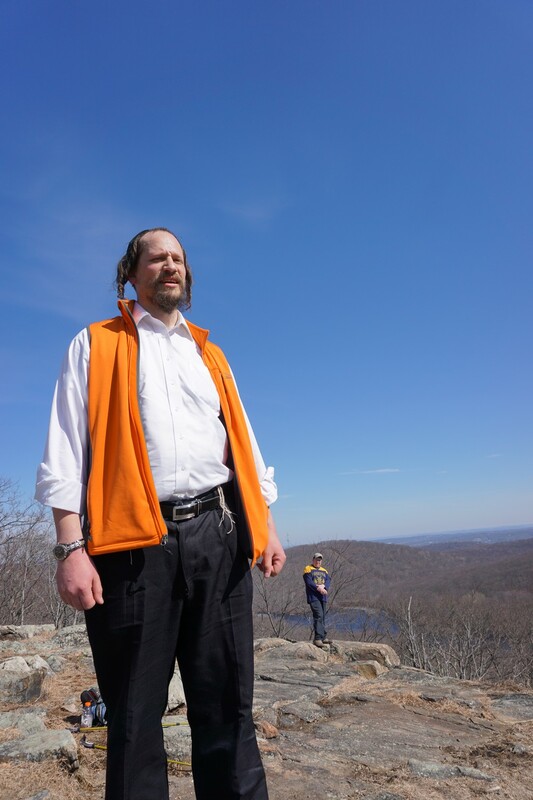 The training was combined with members of Chaverim, and we hid in the wood off the trail and then waited to see if the dogs could spot us. 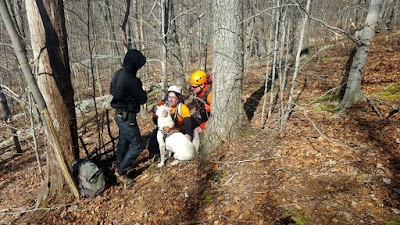 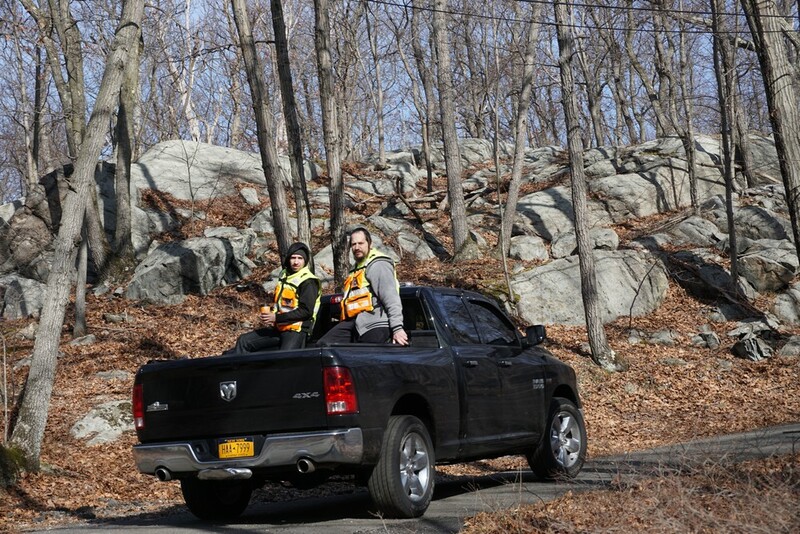 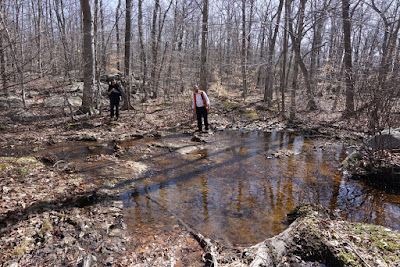 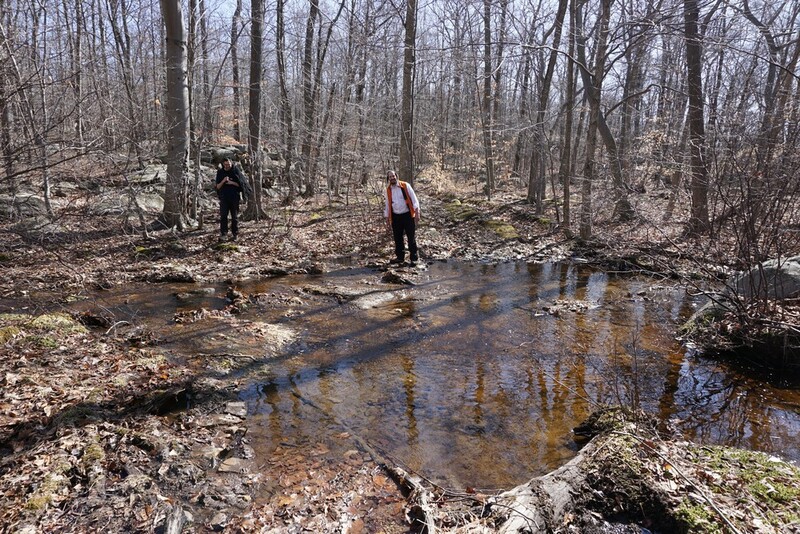 We staged at Bear Swamp Road and Route 202 near the Mahwah/Oakland municipal line, and the NJ SAR team opened the gates for us so that we could drive up Bear Swamp Road. 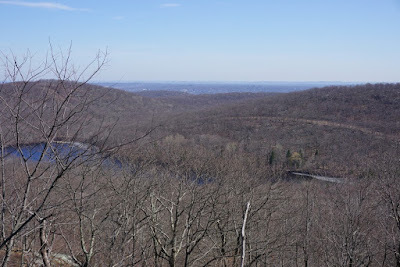 We drove up the road, climbing up mountain on the narrow route that at some places is dirt only. We parked by Bear Swamp Lake and did the K9 Training. 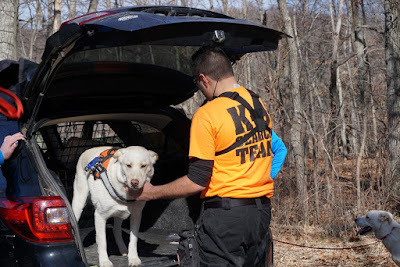 It was very interesting to see how the dogs are trained and how they work. 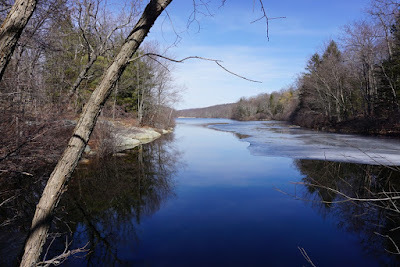 The weather was once again extremely warm for this time of year. 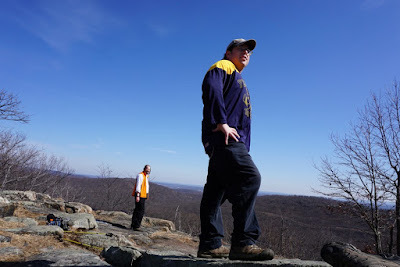 By the end of the hike, we had shed our jackets for shirt sleeves as it was in the upper 50's. 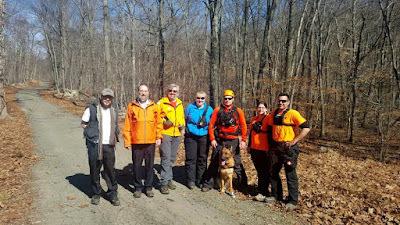 At the top by the stream, we bushwacked towards the Hoeferline Memorial Trail, and met up with that trail at the Butler Mine. The mine is relatively small and easy to miss. 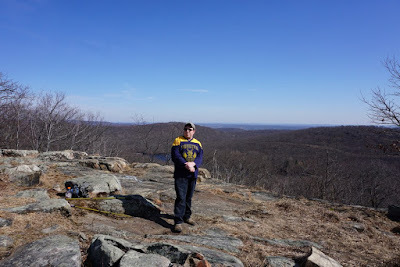 We continued along the trail, joining up with the Crossover Trail, to Ilgenstein Rock, where we took a short break and some pictures. 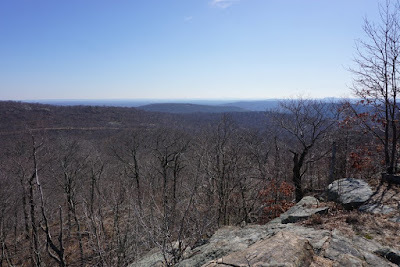 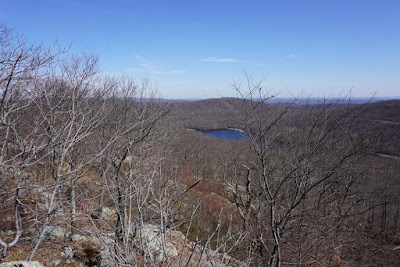 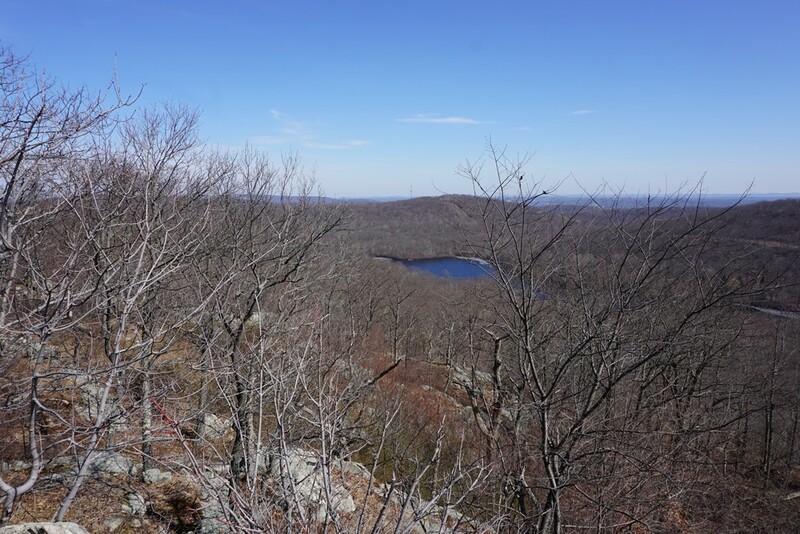 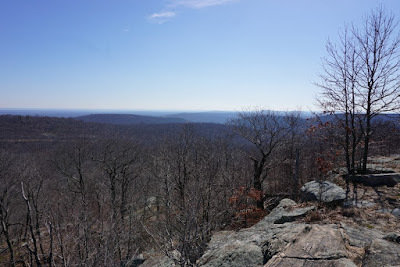 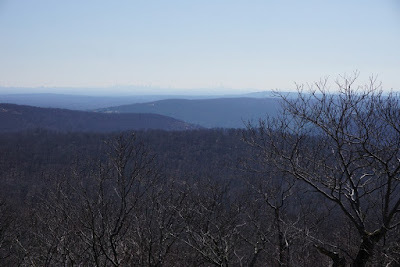 We then headed down the mountain on the Crossover Trail, then continued down on the Cannonball Trail, to its terminus at the southern point of Bear Swamp Lake at the dam. 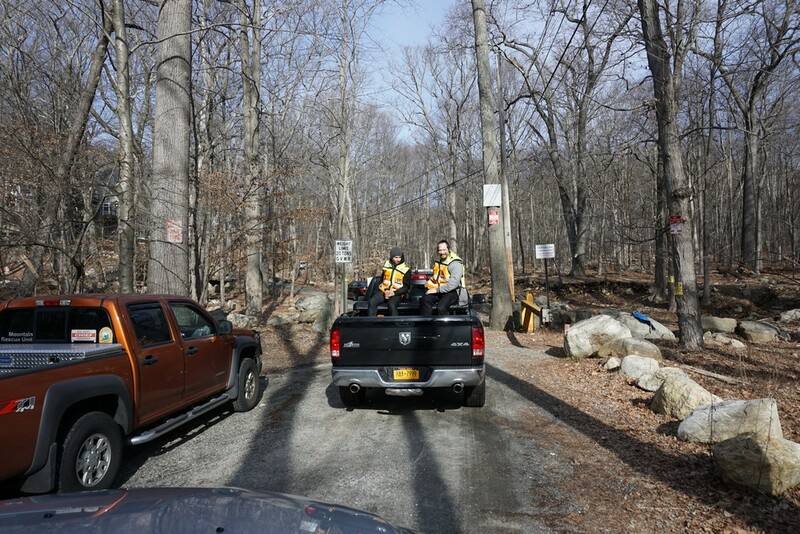 We then took the Shore Trail (which is combined with Bear Swamp Road) back to the cars and met everyone as they were wrapping things up. 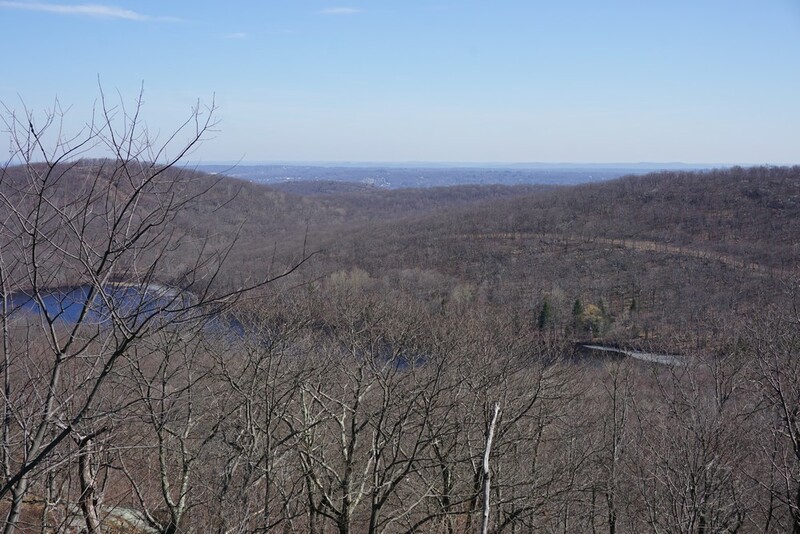 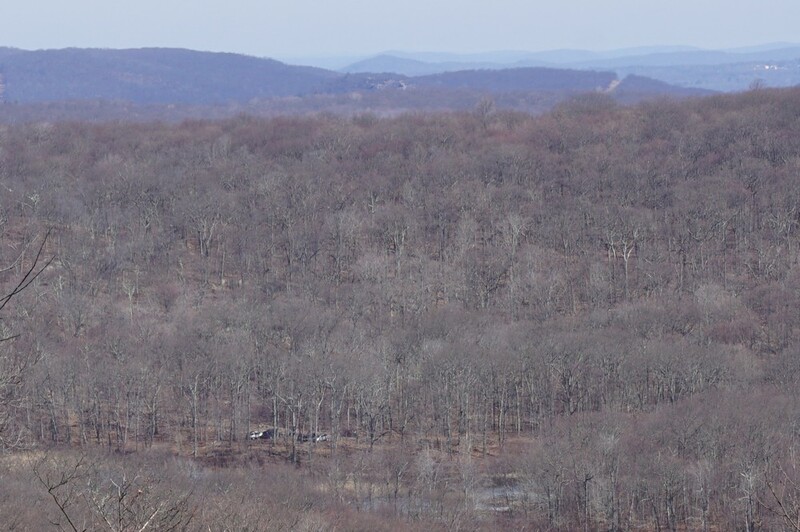 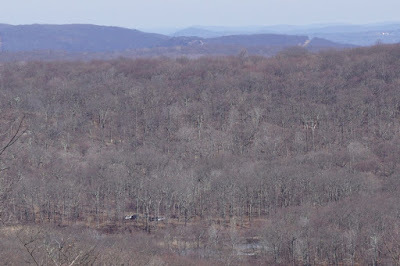 View from Ilgenstein Rock Towards Bear Swamp Lake. 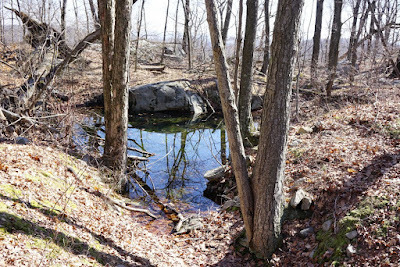 Facing Northeast. From Ilgenstein Rock, Facing Southeast.